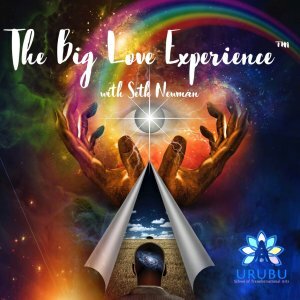 What is the Big Love Experience? 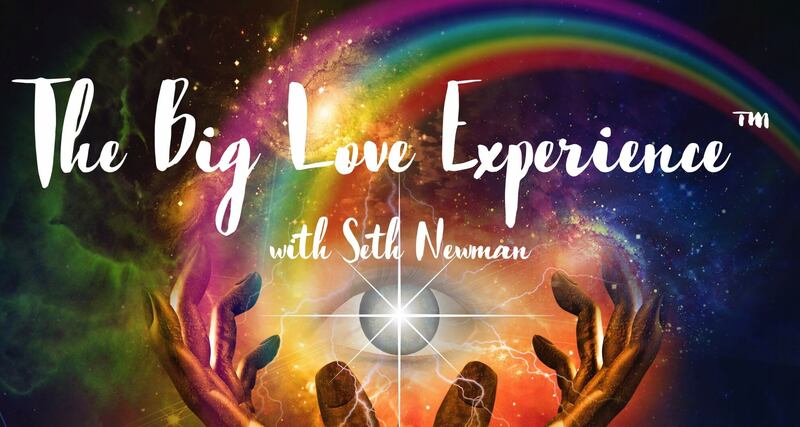 If you’re curious what the Big Love Experience is? How I developed the workshop? and you’re interested in what my inspiration was for the name, and the process. Then this blog is for you. As well as my own personal experiences, I will also talk about some of the key theories that have influenced me. I hope you’ll find this blog interesting and informative, and that you’ll be inspired to join me at one these unique workshops for yourself. The Big Love Experience is a personal growth workshop, an embodied exploration of how we hold on to pain, and how we, as the body, hold on to the past. It teaches us techniques to learn to let go. Letting go of the chronic muscular armouring that has taken us a life-time to develop. At the time, we needed it, so as to not feel the unbearable feelings of the infant. But now much of these unconscious tensions are not needed. The workshop is designed to give you a taste of your body in ease and openness, love and self-care. The journey is a deep dive into the ancient evolutionary wisdom that the Body has for healing. The workshop is based directly from a powerful trauma release experience that happened to me, this inspired me to seek out knowledge that could help me understand what had occurred. It led me on a journey through Body Psychotherapy trainings, Breathwork, Group Therapy, Tantra and Ecstatic Dance, Plant Medicines and 1-to-1 psychotherapy. I worked as a teacher, full-time in East London for 13 years and felt the full brunt of the stress of urban life on my body and psyche. I had a breakdown in 2008 when my girlfriend left me and I attempted suicide soon after. I then started seeking methods and processes to help me cope with the strong emotions I was feeling. I discovered Bioenergetics and joined group therapy at the Open Centre in London, I trained with a number of teachers in Tantra and Conscious Sexuality and explored Plant Medicines. This breakdown-breakthrough, which is the inspiration for the creation of The Big Love Experience, happened in a personal growth workshop in 2009 and featured my body involuntarily trembling & shaking for an hour and a half. During a 7 day residential retreat, I was speaking to the group during one of our talking circles, we had a few of these every day, and then quite spontaneously my body began to quiver or tremble as I talked. The shaking was mainly in my legs and pelvis and it felt like I was cold. You know that kind of shiver that you get when you’re really cold. The trembling was happening involuntarily, I mentioned it to the group and stood up thinking that it would subside, but the shaking got even stronger. I lay down, my body still trembling and Simon sat beside me. Simon was a participant on the course, but he was also training as a Body Psychotherapist. He sat beside me and very simply affirmed what my body was doing by saying “yes, just let your body do what it’s doing” “let it happen” etc. These affirmations increased the power of the shaking and evoked some sadness. I then asked everyone in the circle to gently place a hand on me… I broke down and cried. A deep sob erupted from me. Somehow a deep longing had been touched. Tears streaming down my face. Looking up and seeing through my watery eyes a circle of faces looking down at me. Some loving, some concerned, some scared. It didn’t matter, I knew I was in the midst of a powerful experience. After a while, I asked everyone to remove their hands and to hum, to tone to me. Again another profound movement of emotion. But this time it was one of elation, joy and bliss. I laughed, a deep belly laugh from my core, tears still pouring down, a sense of calm came flooding in. “ This is not my body, this is the Universes’ body”. Here I saw what I thought to be rose petals gracefully falling from the sky. A deep feeling of bliss, and ease, and trust poured into me. I looked at Simon and he smiled. He said “your body is having a powerful healing experience, just let it happen, let it do what it is doing” and I said “ This is not my body, this is the Universes’ body”. It was as if, at that moment in time, I was not me. I was there, as presence and awareness, but I was not a personality. I was not my past and not my future. Mystics talk about the “hollow bamboo” experience. 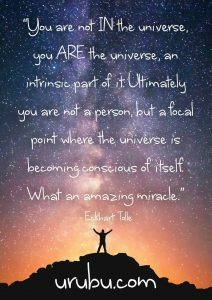 Universe, inside, Universe outside, no “I”, no person, just Being. “Do not seek, just remain as you are, don’t go anywhere else. Nobody ever reaches truth; nobody can because you don’t know the address. Where will you go? Where will you find truth? There is no map, there is no way, there is nobody to say where it is. No, nobody ever reaches truth. it is always the reverse: truth comes to you. Whenever you are ready, it knocks on your door, it seeks you whenever you are ready. And the readiness is nothing but receptivity. When you are completely receptive and there is no ego, you become a hollow temple with nobody in it. My legs and pelvis were still vibrating at this point, everyone else had gone off to dinner and it was just Simon and me. It was time for me to stand up and go to the bathroom, but as I tried to stand up, it was as if my legs were made of jelly. Standing felt like standing up for the first time. I slowly stood up wobbling a bit and made my way to the bathroom. After, I wrapped myself in a blanket and went outdoors to stand underneath the night sky. Outside, standing beneath the the starry sky, Earth beneath me and Nature all around. The I, the mind, the personality had gone on a break, and it was just breath… and presence… and sensation. Universe inside, Universe outside Universe all around. Later I started to research what had happened to me. I read books, went on trainings, and began to devote my free time to understanding the process. The hows and whys to the vibrations that had coursed through my body, and the temporary Awakening that occurred in me. Links began to surface between, Bioenergetics, Shamanism, Body Psychotherapy, Trauma research and Tantra. I joined a weekly Bioenergetics group at the Open Centre in London and began to immerse myself in Bioenergetics and the work of Alexander Lowen and John Pierakkos. The two creators of Bioenergetics designed powerful exercises that invite the body to release shock, trauma and stress held by the muscles. The term muscular armouring is useful here to understand the process that is involved in evoking the body trembling response also known as neurogenic tremors. My studies with Guy Gladstone (Bioenergetics), Amadis Camelle (Core-Energetics), Michael Gavin (Radix/Neo-Reichian breathwork) & Silke Ziehl (Postural Integration) followed. In exploration of different healing modalities I was curious to explore Ayahuasca, the plant medicine from Brazil/Peru. I drank the tea in ceremony with amazing musicians, experienced lucid insights, deep compassion towards my parents struggles and had powerful somatic responses throughout the journey. In traditional Shamanic work there are many rituals and practices to let the body release, whether through dance and movement or through shaking practices. The author Bradford Keeney highlights the shaking practice of the Kalahari bushmen. 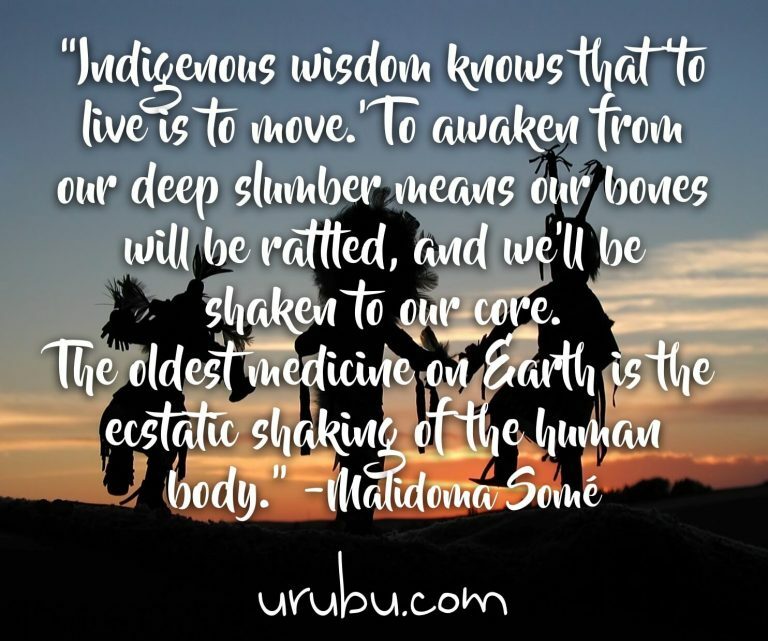 In his book Shaking Medicine, he speaks about the Bushmen’s healing practice of shaking and also about what they call “The Big Love” – the experience of oneness that they experience through the shaking. I attended many different weekend workshops in body psychotherapy. From Core-energetics, Radix (Reichian Breathwork), Postural Integration, Watsu and Pulsing. In western body psychotherapy the shaking is referred to as “neurogenic tremors” and are seen as essential to the body to return from trauma to its balanced functioning, or homeostasis. I also began two different trainings in Tantra to understand the vibrations in my body and to have guidance in letting go. I trained with Jewels Wingfield and later with Jan Day and her Living Tantra School. It was with Jan’s work, where I deeply felt a deep resonance as it highlighted the essential seed of Tantra: Surrender. This form of Tantra seems to me the closest to Osho’s’ vision. One that is not preoccupied with techniques, positions and methods, but provides space for surrendering into Love. 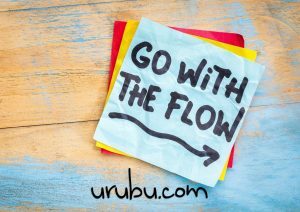 From my own healing journey, to trainings with exceptional therapists, to setting up the URUBU School of Transformational Arts – it has been an incredible 7 year journey. All of the above experiences are the inspiration for the creation for the Big Love Experience. I am now facilitating the Big Love Experience every two months in London, Bioenergetic Alchemy & Trauma release classes every Friday, monthly weekend retreats and provide one-to-one session for individuals.